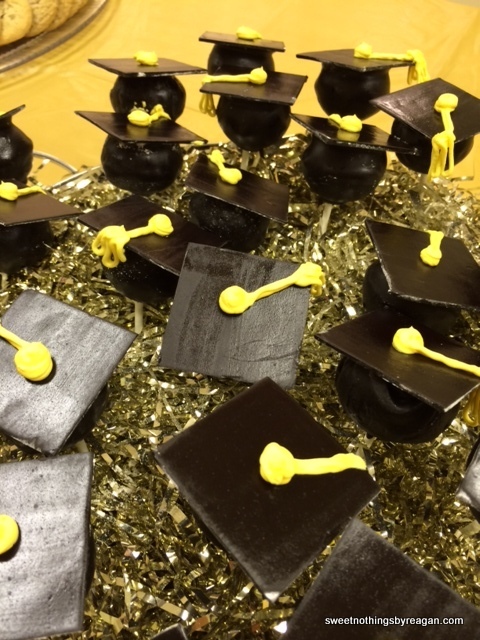 These adorable mortar board cake pops, and their marshmallow pop cousins, were for a special graduate. 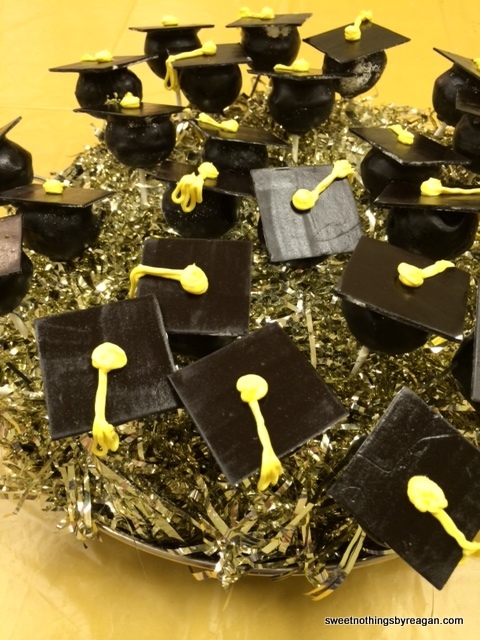 The cake pops are baked in a ball, dipped in tinted dark chocolate, and a dried fondant mortar board was attached on top. 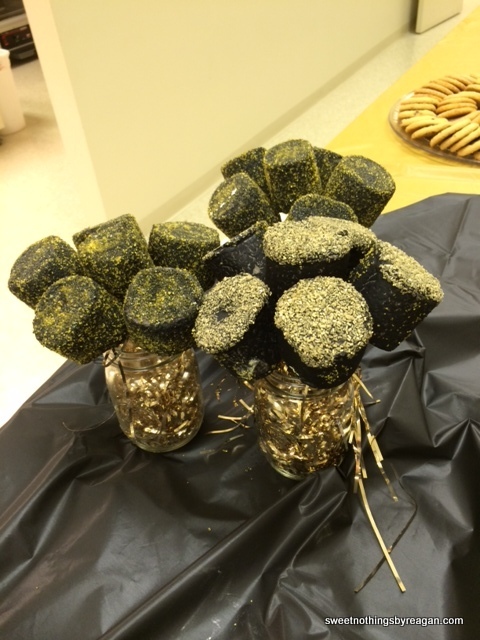 The yellow tassels, piped in buttercream, hung ever-so-delicately over the edge of each pop, and were added on site. 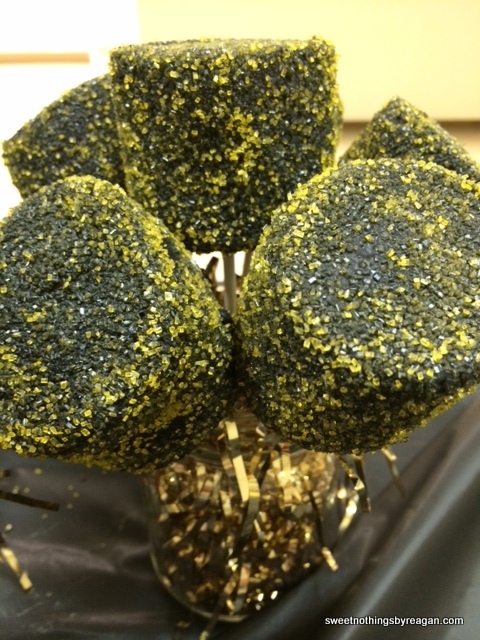 The jumbo marshmallow pops were dipped in the tinted chocolate and rolled in gold and yellow sprinkles. Congratulations, Lindsey and MHS class of 2014! Posted in featuredTagged cake pop, graduation, graduation hat, marshmallow pop, mortar boardBookmark the permalink.